We’ve all watched Spider-Man and seen how he gains superhuman strength and the spider-like ability to cling to any surface. But we’ve never thought we’d see anything like that in real life. On Sunday, a real-life Spider-Man saved a four-year-old boy who had been clinging on for dear life from a balcony. The superhero climbed four stories in Paris to rescue the child. On reaching the fourth-floor Gassama puts one leg over the balcony before reaching out with his right arm and grabbing the child. 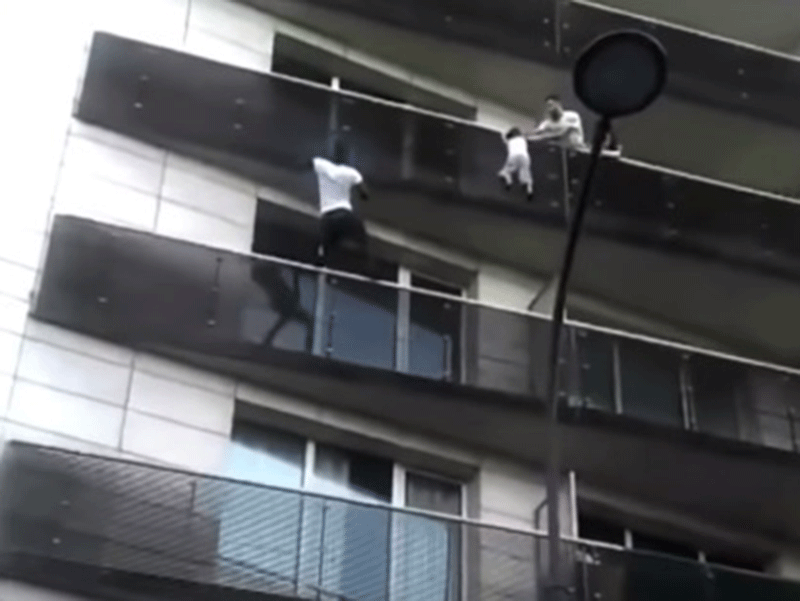 When asked why he took a risk on his life to save the boy, Mamoudou Gassama said: “I did it because it's a child.” You can see in the video Gassama has incredible strength as he attempts the rescue with onlookers nervously cheering him. Breakfast’s Martin Bester explains what happens and says: “It’s every person’s worst nightmare. Watching this guy climb makes my hands clammy. He is a real-life hero."